At the beginning of this semester, Southwestern launched a new app. This new addition has received mixed reactions amongst the student body and continues to spark controversy. 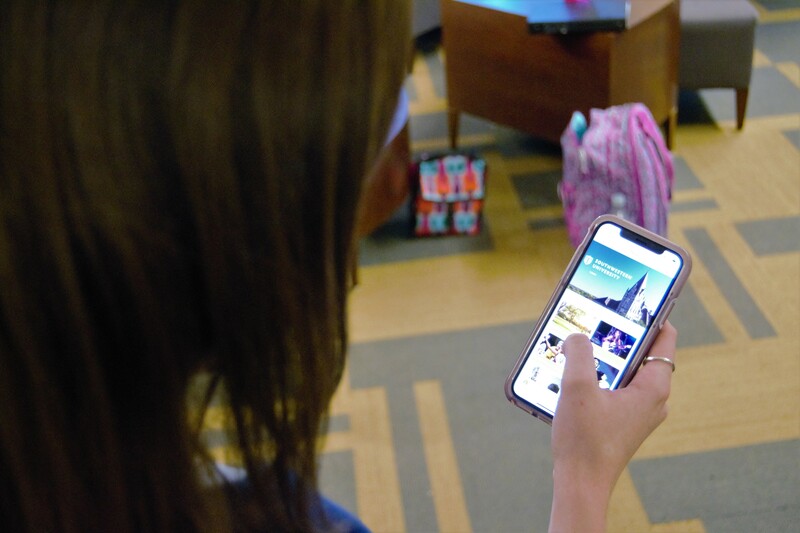 The app gives you a myriad of information on its homepage, listing items such as MySouthwestern, events, student organizations, athletics, academic life, student life, safety on campus, Title IX and the student handbook. These new tabs give students easier access to information about the campus. This includes getting onto Moodle through the app, viewing the academic calendar, getting updates on campus schedules and events, and many other functions. The app also allows you to view a comprehensive list of student organizations and see the members of each one, which helps students decide on which organizations they are interested in. Previously, a lot of this information was embedded in the Southwestern website. It became relatively difficult to seek out information since it was quite a hassle to search for what you need on the website. Students ended up reluctant to use the website and refrained from searching if possible. However, with the app, all the information is compressed into your phone, which allows you to access it at any time. This is especially great since students bring their phones everywhere with them. The app also has a calendar function where you can see all of your classes. This is one of the most impactful functions since students no longer have to worry about creating a schedule for themselves since they can simply look at it from the app. The app displays your day-to-day class schedules and allows you to add events and due dates. This helps students maintain a calendar on the app itself and compile all their school-related events. In addition to more scheduling and event resources, the SU app also has a community forum portion which allows students to contribute to the student feed, lost+found, ride sharing and campus announcement categories. This forum has stimulated a lot of new conversations and interactions between students. Many have called this function on the SU app as the new Yik Yak. On the more functional side, students can inform the student body about events that their organizations are holding. This allows students to publicize their events on a platform other than campus notices and social media. It also boosts campus support as far as students and faculty by helping with ride sharing and finding lost items. On the flip side, students have started to fill the app with memes and politically charged posts. While administrators are currently working to flag and “censor” some posts that were reported, they can still be viewed and several students have expressed disdain for these posts. On the other hand, students have also justly questioned their freedom of speech as far as censorship while on the app. It seems that as more students begin to post about their personal opinions, the more complicated the issue of censorship will become. In all, just like Facebook or Twitter, the SU app seems to be regarded as a useful tool but its functionality is being tested by students’ use of it as a joke and platform for memes. The app is still in its early stages, and, as of now, students have found the core functions to be helpful. But time will tell if the student body’s ability to create a toxic platform will overshadow the helpfulness of the app.